2.“Endoscopic robotic mitral valve surgery,” by Douglas A. Murphy et al., Journal of Thoracic and Cardiovascular Surgery, October 2006. A study that finds robot-assisted surgery to be “safe and effective” for 127 heart patients needing mitral valve repairs. 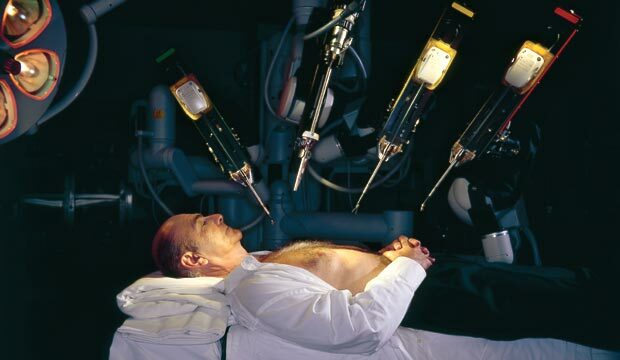 3.“Robotic Radical Retropubic Prostatectomy,” by M. Menon, British Journal of Urology, February 2003. A report on open, laparoscopic and robotic surgeries that provides evidence that patients suffer the least blood loss and endure the shortest hospital stays after robotic surgery.